Olivier Kress is a partner at Flichy Grangé Avocats, a top-tier employment and labour law firm in France with over 70 labour law specialists and is repeatedly recognised as one of France’s leading lawyers in this area. For more than twenty years, Olivier has provided assistance to national and international clients on all aspects of employment and labour law. He is sought out by clients for his knowledge of acquisition operations, outsourcing, carve-out, transfer of undertakings, and restructuring operations. He advises employers on matters pertaining to international employment law, individual relations, executive management, working time, collective bargaining, social security issues, health and safety, code of conduct and international mobility and immigration matters. Together with a team of fluent English and Italian speakers, a large part of his advisory and litigation work is dedicated to international clients. Olivier works with clients across a range of industries and is called on as an experienced employment lawyer to represent them in high-risk collective or individual disputes before the civil and criminal courts. He also actively participates in L&E Global, an international platform of 23 prominent labour and employment law firms co-founded by Flichy Grangé Avocats in 2011 and an officer of the International Bar Association's employment and industrial committee (IBA) and an active member of the European Employment Law Association (EELA). 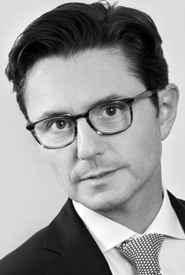 Olivier Kress was called to the Paris Bar in 1996 and began his career with Barthélémy et Associés law firm. He then practised in Archibald Andersen and Baker & McKenzie law firms before joining Flichy Grangé Avocats in 2004. Olivier holds a Masters in Private and International Law and a postgraduate degree in Corporate Legal Advice (DJCE: Diplôme de Juriste-Conseil d'Entreprise) and is fluent in English and Italian.